Fans across the world mourned as the news of Whitney Houston found dead in her room at the Beverly Hilton hotel broke out. She is reported to have partied heavily at the hotel with a close group of friends on the night before. Whitney’s mother Cissy Houston and Dionne Warwick, Whitney’s cousin, who were among the last to speak to her on phone, said she sounded fine even a few hours before her death. However, sources report that she did not look well during her last performance for a Grammy party on Thursday. The law enforcement has not reached any conclusion about her death since it is too early to comment, however, BH PD detectives have launched an investigation and the police have applied for a search warrant to investigate the hotel room where she died. Beverly Hills police have sealed off the room until completion of investigation. 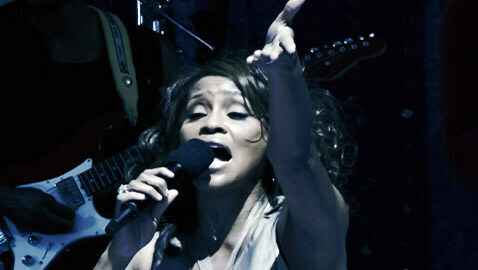 Whitney Houston was one of the best known singers of these times and she won six Grammy Awards, two Emmy Awards, 30 Billboard Music Awards, and 22 American Music Awards during her stellar career as a singer. Her album named “Whitney” was the first ever album sung by a woman to have debuted at the top slot on the Billboard Charts. As of today, more than 200 million copies of her albums have been legally sold across the world. Houston was married from 1992 to 2007 with Bobby Brown and has a child Bobbi Kristina. Her family was heartbroken to have lost her at an early age of only 48. Her ex-husband, Bobby Brown, was reported to have gone into crying fits several times during a concert after the news reached him. Sources say that there is no sign of foul play in Whitney’s death; however, her history of drug abuse has made police seal off the room of her death and conduct an investigation. Ed Winter, the LA County Coroner reported that it is too early to make any comments. 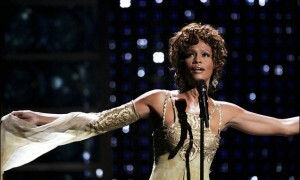 Whitney was found dead in her room by a member of her group who called hotel security, and the security then dialed 911. Paramedics found Whitney without any response on arrival. She was declared dead by doctors at 3.55 PM.